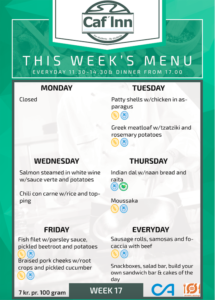 Caf’Inn offers a wide variety of sandwiches, salads, baked goods and a weekly menu of different daily home-cooked meals. Everything is homemade using fresh and high-quality ingredients while incorporating as many seasonal products as possible to maximise flavour and align with the sustainable profile at BSS. Besides our homemade offerings, we have a broad range of drinks, sweets, and fruits to get you through the day. 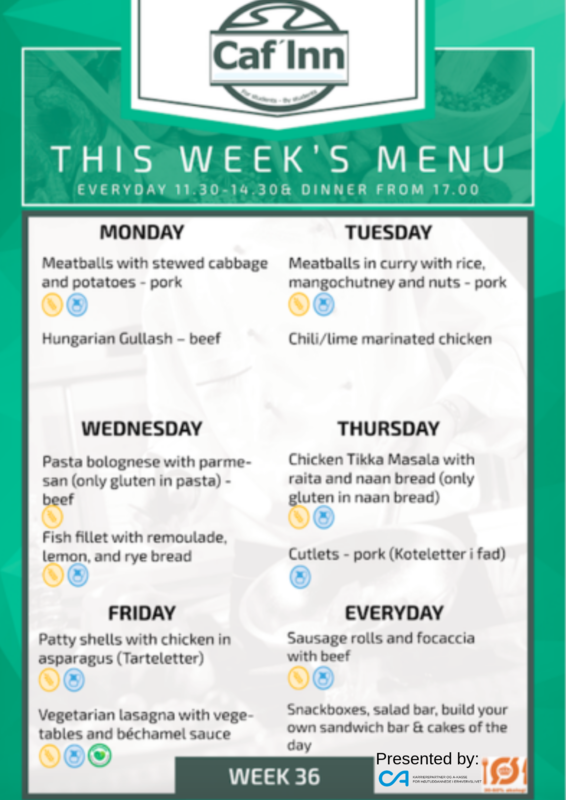 As a new initiative in Caf’Inn, we have launched “Take-home” meals. The packaging can go directly into the microwave. Moreover, it is good for the environment, it is cheap (20 or 30 dkk) and it is TASTY! Whats not to like? The boxes are placed in Caf’Inn beside the protein drinks.